Bubble tea, or boba tea, is a cold, sweet tea-based beverage made with chewy tapioca pearls. It is deliciously addictive and needs a thick straw to consume the boba pearls! Boba tea originated in Taiwan in the 1980s and is now popular all over the world. 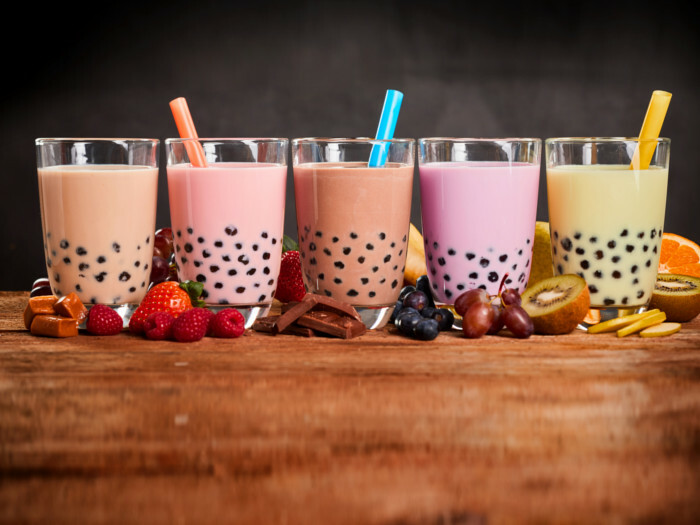 There are several versions and flavors of bubble tea depending on the type of milk, tea, sweetener, and tapioca pearls used. You can make your own favorite version at home once you master the basic recipe. You will love this sweet and creamy cold tea! Bring a big pot of water to boil and add the tapioca pearls. You will notice that the tapioca pearls will come to the surface. Allow them to simmer in hot water for 15 minutes and stir occasionally. Turn off the heat and cover the pot, allowing the pearls to steep for another 10 minutes. While the boba pearls are getting cooked, you can prepare the sweetener. 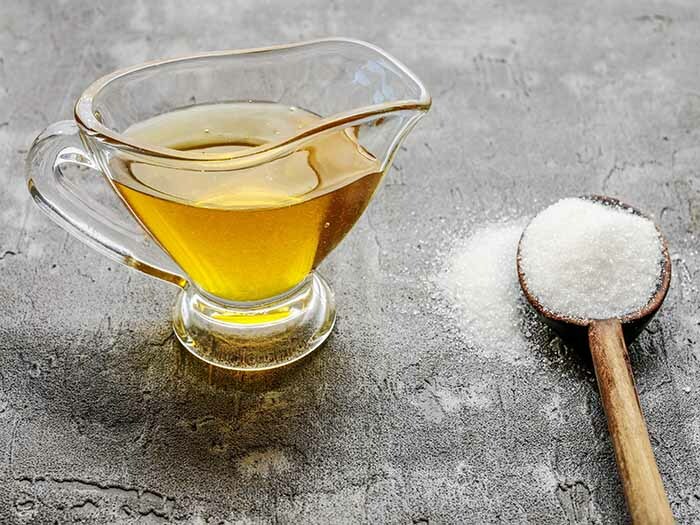 In a small saucepan, add a cup of water, honey, and sugar and bring to a boil to create a simple syrup. Drain the tapioca pearls and then mix them into the simple sugar syrup. Allow them to soak in the sugar for 10-15 minutes. You can even refrigerate the pearls with the syrup until you are ready to make bubble tea. Boil another small pot of water and steep the tea bags for approximately 5 minutes. You can keep it longer if you want a strong tea flavor. The tea needs to be cold for boba tea, so either you can prepare it before time or you can chill it. Now, you are ready to assemble all the prepared ingredients to make your own bubble tea! Pour the chilled tea into a tall glass. Put in the desired amount of tapioca pearls and sweet syrup. Add the milk of your preference to make a creamy, frothy bubble tea. The traditional way is to add ice cubes and shake it in a container to get frothy bubbles so that the drink can live up to its name! You can add a bit of water if you want a plain bubble tea or fruit juice for a fruity tea. You can even add pieces of jelly. Don't forget to get a large straw to enjoy your homemade boba tea! Boba tapioca pearls can be refrigerated for several days but are best had within a few hours of cooking. When they are preserved in sugar syrup, they remain soft and chewy. Otherwise, they gradually harden and become crunchy in the middle. If you want the creamy traditional version, add condensed milk to your bubble tea and shake it well with the other ingredients. 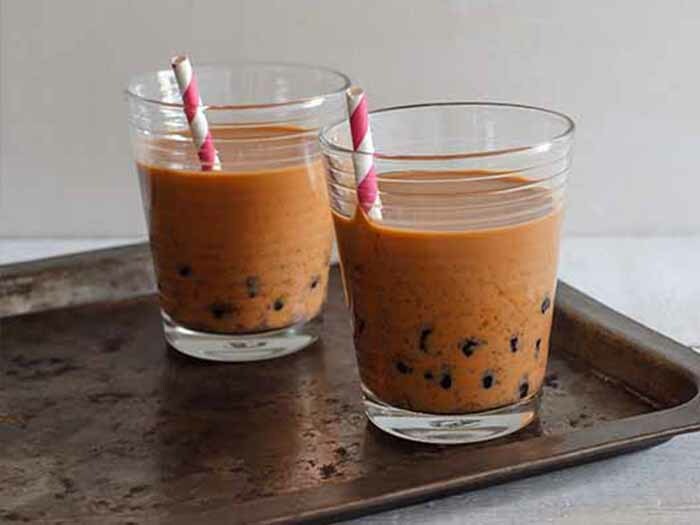 However, if you are looking to make a healthy version of the traditional bubble tea, you can cut down the sweetener as well as the tapioca pearls. Use skimmed milk or a plant-based milk depending on your preference. Use fresh fruits to make juice or syrups for a skinny, healthy version of boba tea!